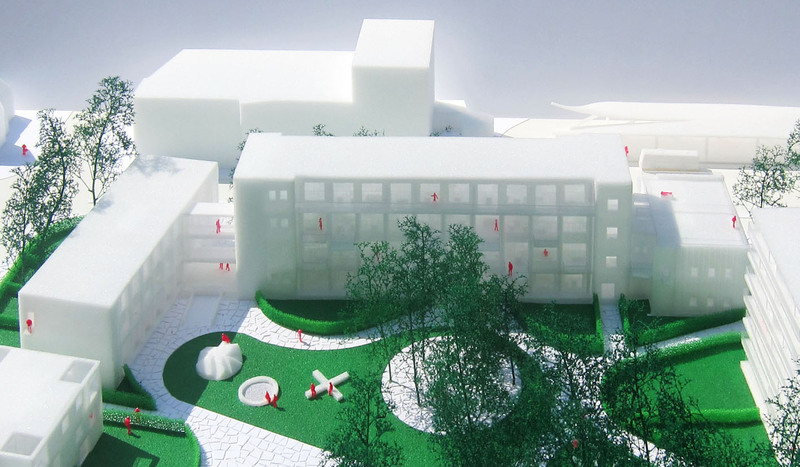 The municipality of Waalwijk selected six national developer/architect teams to envisage an urban vision for the redevelopment of De Walewyc School location into a specific, differentiated and high profile living environment. 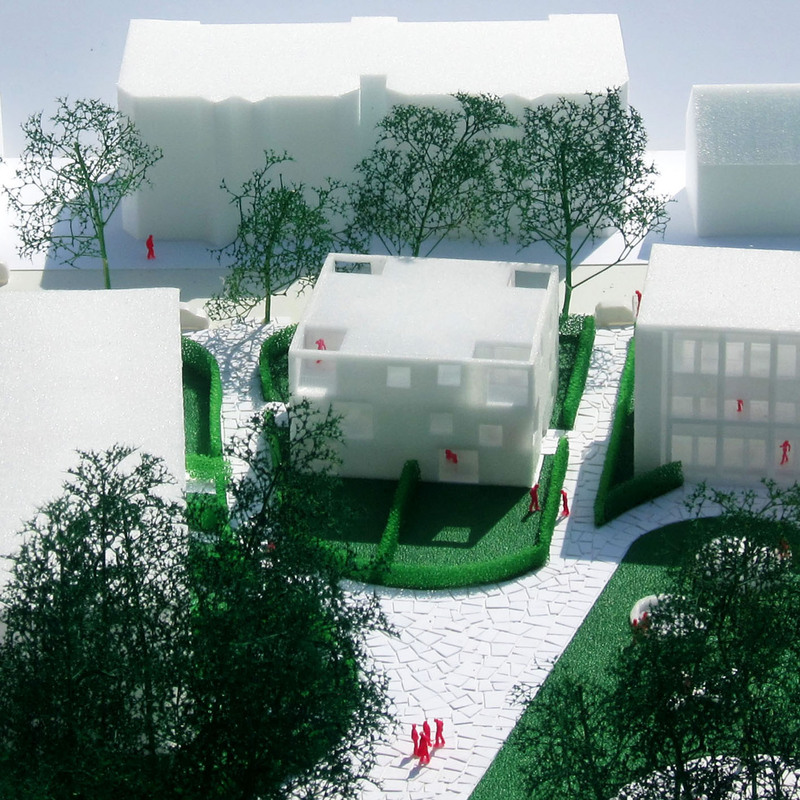 In order to fulfil this ambition, we found it essential to reconsider the municipality’s suggestion to demolish the existing school buildings. De Walewyc School is an icon of post-war reconstruction architecture in a surprisingly good and original state. Besides the cultural and historical value, a building’s potential for future uses should determine the choice for demolition or conversion. 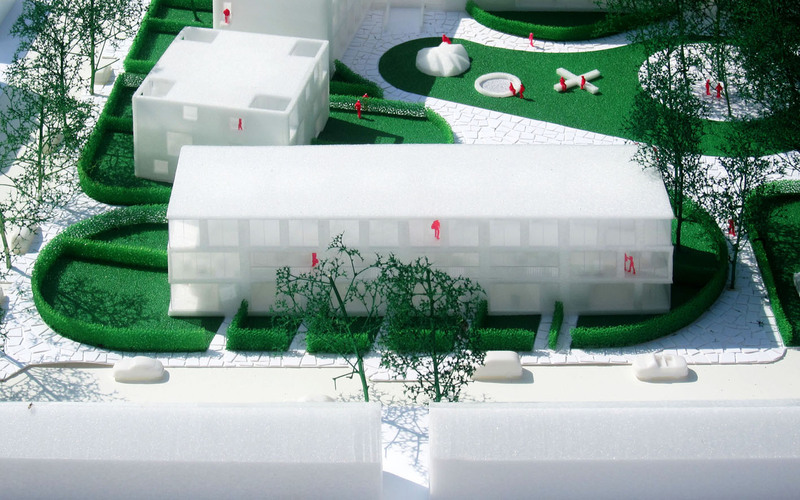 The former school’s urban situation, its transparent architecture, high ceilings and internal layout create the premises for a unique housing ensemble with spatial qualities difficult to match nowadays. 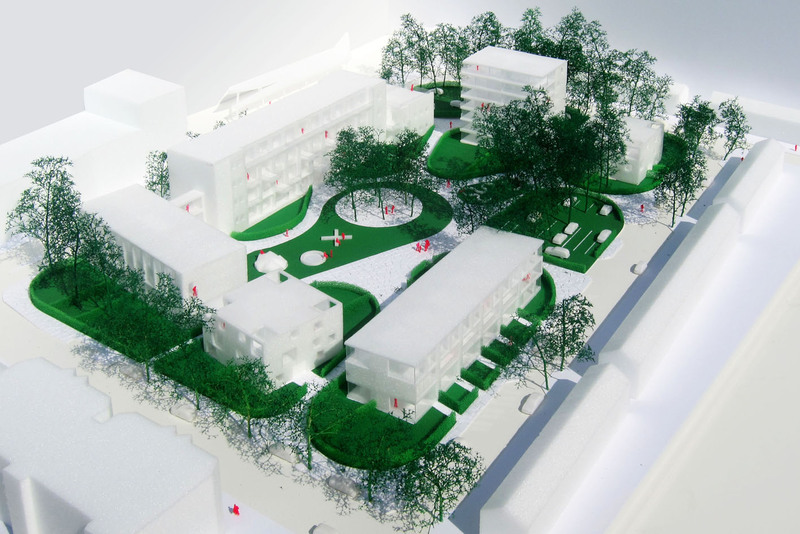 Our proposal preserves the school’s three original buildings and adds four new ones around the former schoolyard. 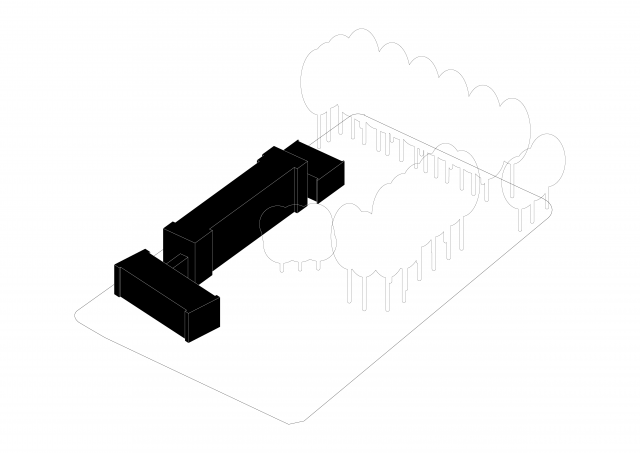 The building volumes form a permeable ring of solitaires that – together with the row of existing trees – define the limits of a public park (the former schoolyard). The volumes are positioned in such a way that the park is visible and accessible from the surrounding neighbourhood without losing its strong definition. 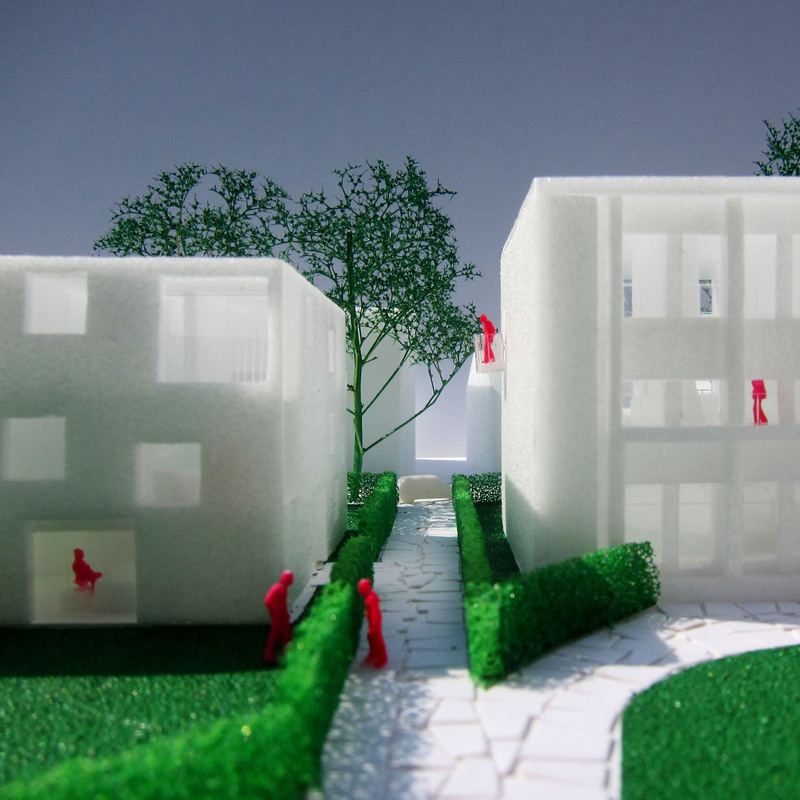 By replicating the existing volumes’ DNA into the new ones, a family of buildings is created. This family has two generations, three volume sizes and several housing typologies, derived from each building’s specific orientation. 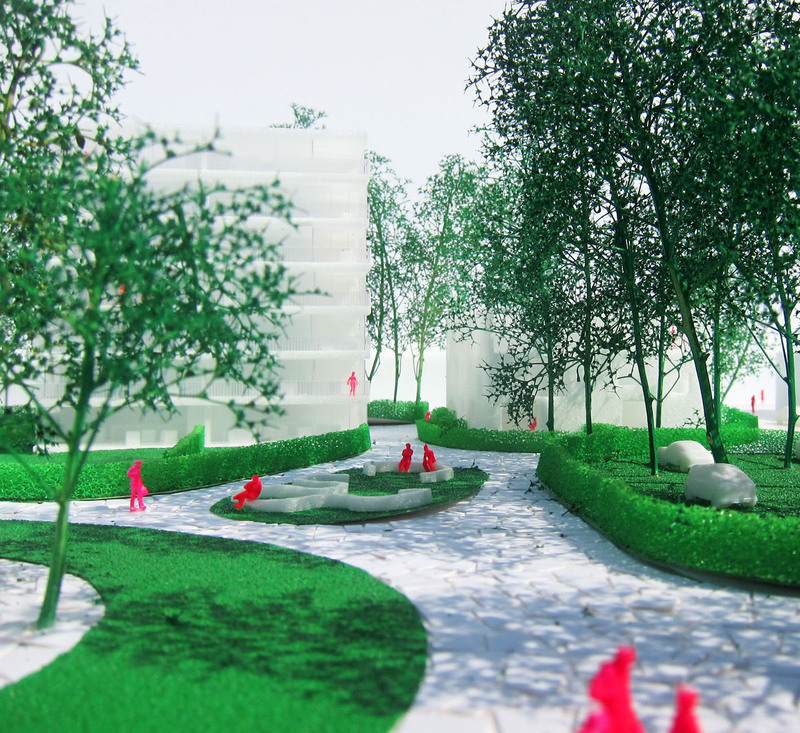 The building solitaires are imbedded in an archipelago of green islands, consisting of public green, private gardens, and parking pockets. The green islands manifest themselves beyond the ring of buildings towards the surrounding streets, emphasizing the park-like character of the entire development. The existing school lends itself perfectly for appartments. 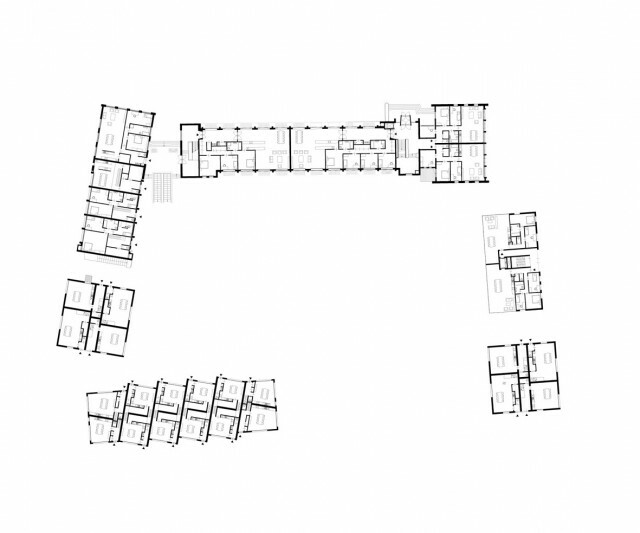 Luxurious high ceilings, a corridor to the north and large windows to the south. Simply adding balconies and (roof)gardens to the building is enough to convert the school building into a rich collection of different typologies. The row houses are designed as back to back houses. 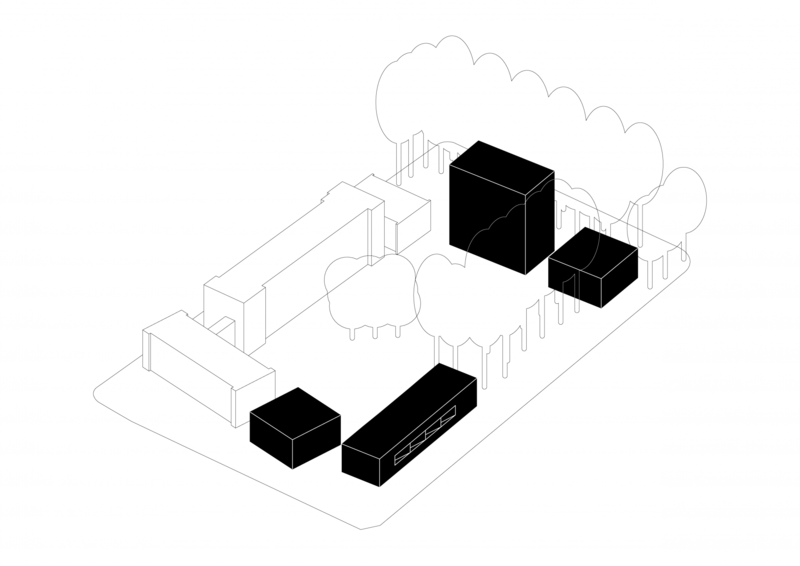 Each floor flips to the other side of the block, creating houses that are orientated towards the park as well as the street. 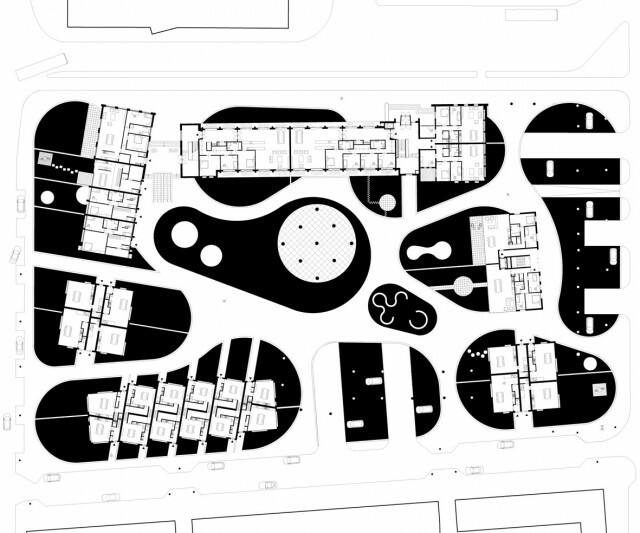 The small blocks are designed as helix houses: each floor of the house jumps to the other corner, creating houses that touch each corner of the block: 360 degrees orientation towards the park as well as the street. 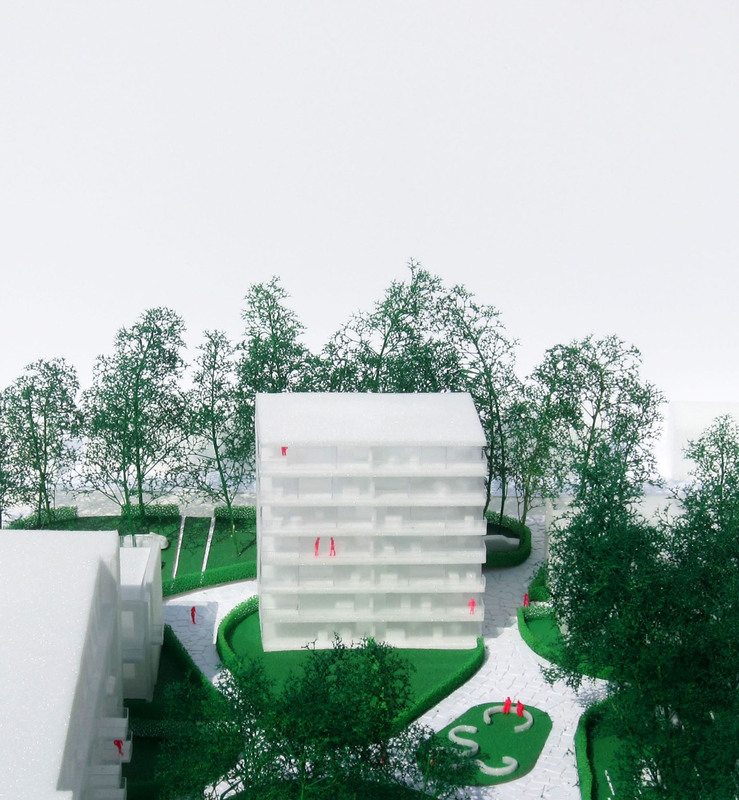 The apartment tower is dived in two halves: a closed part that houses the night program and an open part, orientated towards the park and the sun, that houses the day program.